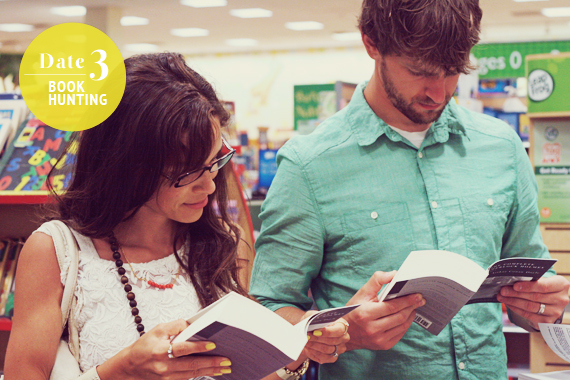 Before we were dating in college, a small group of us friends would plan study time at Barnes and Noble. It would always involve a lot of laughter and ruckus. I dared Gabe once to take a few books and pretend to trip and fall in front of the middle clerk desk. I cried laughing because he pulled it off quite successfully, and the clerk's reaction was priceless. Gabe earned major points that day. Trader Joe's is 30 minutes a way so if we pass it, we simply have to go inside and find loot. We ended the night with Trader Joe's potstickers (amazing) and a movie. The next date is for my birthday this weekend, so he has a surprise up his sleeve. Cute date. I love a good ol' book. I still can't get into the e-reader thing! I'm hoping to try something like this with Ty next summer. Oh my gosh have you tried their chocolate covered bing cherries and speculooos candy bars. I DIE!!!! Such a fun date night. Trader Joes is a must in this house. LOVE LOVE! I love their potstickers - so tasty! I love that the date nights you're coming up with are fun, but not expensive. I was just telling my husband we need more date nights, but he thought I meant lots of fancy dinners. I need to show him this series on your blog :) If it's free, he'll definitely be in! What a cute date! I love bookstores. I can't wait to see the next one. we also love chasing for good reads together, at half price bookstore. how exciting for the coming summer birthday surprise !! I love this date! Simple, cheap, fun. Bookstores are some of my favorite places :) Can't wait to see what he has up his sleeve for your bday! You two are so cute!! Love this date night - it all sounds perfect! I could spend endless hours in book stores too. Just something about them that I can't get enough of. We are finally getting Trader Joe's here in Houston, and I can't wait to check it out after I've heard so many amazing things! Every day at Trader Joe's is a good day. And y'all look so studious at the bookstore! Heh. Great idea. i still love this idea! you're only on 3 so if i hurry i can catch up haha! i hope you have a blessed birthday and a fun date!! You know, sometimes it's the mundane, everyday errands that you can turn into fun dates - like book shopping and getting groceries. Love this! 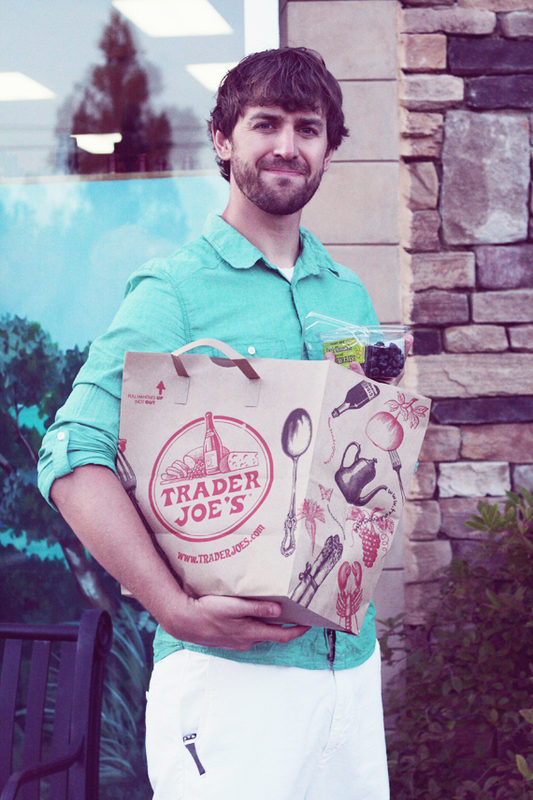 And it makes me miss Trader Joe's quite a bit. Thanks for sharing! TJ's has amazing dark peanut butter cups :) What sauce do you put on the potstickers? I like your reading selection! Loving this 21 dates of summer idea, so precious! have a fantastic birthday! I'm sure he'll have something amazing planned! 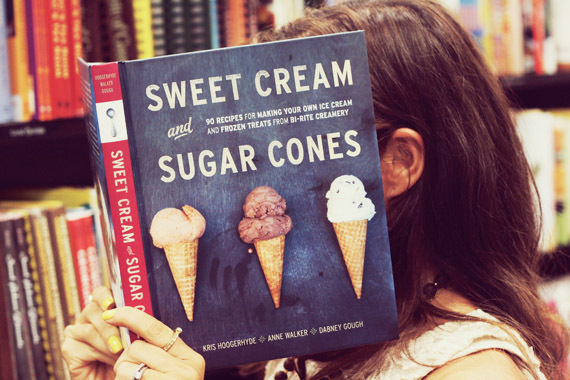 we love book hunting, too...but we like the really old, moth-ball smelling used book stores the best! could you two be any cuter?!?! we need a babysitter before we can do fun things like this! Such a fun idea. You and your husband are cute together. What a perfect date night idea! The Boy and I need more simple, inexpensive ways to spend time together aside from cuddling up with the pup and wine to a movie. You also are an adorable couple! This is such a sweet series! Can't wait to hear about your surprise birthday weekend! :) Happy Birthday, by the way!